Reusable, washable and adjustable. 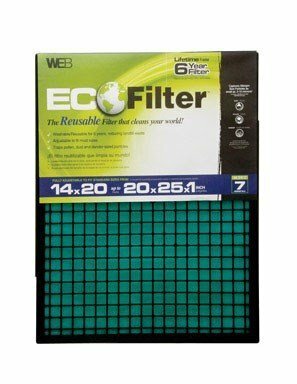 Fits standard filter sizes 14-Inch by 20-Inch up to 20-Inch by 25-Inch. It has two-stage filtration and MERV 7. It captures pollen, dust, and pet dander size particles. If you have any questions about this product by WEB, contact us by completing and submitting the form below. If you are looking for a specif part number, please include it with your message.